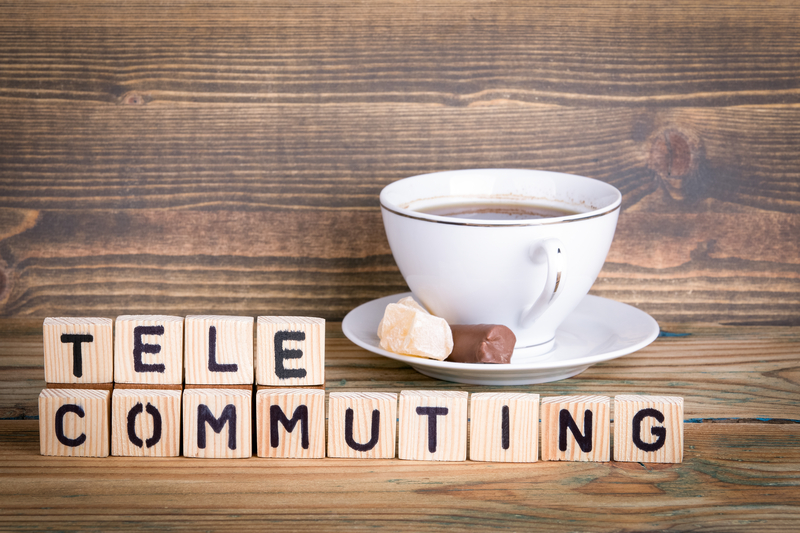 The idea of working remotely from home or “telecommuting” has its appeal. And, with the majority of today’s workforce mobile and geographically dispersed, remote work opportunities are plentiful and even beneficial for employers. 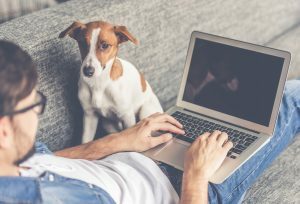 Marketing, communications, and creative positions often provide a degree of flexibility; but for those lucky enough to occupy a full-time home office, remote jobs, it would seem, provide a work-life balance. Or does it? Lets state the obvious. If you’re working from home, you must have reliable internet to communicate with the office or team members. Sketchy service ain’t gonna cut it when you’re trying to make deadlines. 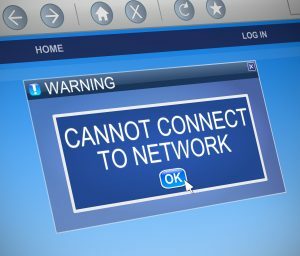 Bandwidth may be stretched to the limit and no one’s going to be thrilled waiting around for you to upload important docs that could influence meetings and outcomes, or make people miss the commuter train and half priced happy hour drinks. When people think, “work from home” the thought of sleeping in and sipping coffee between emails comes to mind. While there can be that type of laissez-faire business practice, it’s not typical. Most employees working remotely are not nearly that blasé. Many of these positions require you to be available during business hours. And while you do forgo the commute times, what’s to say your 9-5 is theirs? Remote positions may have you communicating with teams in other time zones, so while you’re getting ready to zone out for the day, they may be just returning from a late lunch. Be prepared to work when needed. Another work-from-home misconception is the comfy PJs and sweatpants attire so commonly found in stock art. Whenever possible, today’s mobile meetings are held via video conferencing. Depending on your computer settings, when you click the link to join a meeting that little green light atop your screen will illuminate automatically and you’ll be face-to-face (online) with your coworkers instantaneously. You may want to put some clothes on and ditch the bed-head look. For those shunning the webcam, you’ll still need a quiet place to take a conference call. Dogs barking. The UPS guy ringing the bell. Your kids’ cartoon blaring in the background. None of these screams conducive to focus. Try to avoid becoming a satirical statistic or viral media sensation (a la BBC interview with the children.) Dedicate an area for your business, and one where you won’t be disturbed. Marketers, writers, designers, UX pros and developers are prime candidates for remote opportunities. The work can be completed outside of an HQ or satellite office. However, another consideration is that marketing and advertising professionals, and developers for that matter, are typically part of a larger team. While it goes without saying that you need to be proficient working independently and self-managed, you must also be adept at working collaboratively online. It’s not uncommon to be connected to the office, and your team, most of the day via Skype, messenger, Google Hangouts, slack, or similar programs. You’ll likely have a direct link to your creative or agile team to Instant Message and remain in the loop to work together as is needed in these industries. MarketSearch is a nationally networked executive search firm specializing in advertising, digital strategies, and marketing communications. Our executive recruiters are all marketing and advertising professionals with the expertise and insight to assess candidates and narrow a short list of ideal potential hires to clients. We offer both on-site and remote job opportunities for those looking for positions in marketing communications, direct marketing, advertising account management, copywriting, design, e-commerce, analytics, marketing automation, social media, and more. Contact us to discover why more marketing and advertising experts trust MarketSearch and how our partnerships are helping to evolve leadership teams in today’s innovative organizations. Call us directly at 617.971.0300 to learn more.